Admit Card: Click here to download the GSET Admit Card 2018. List of candidates selected for the GSET: Click here to check the list. List of candidates not considered for the GSET: Click here to check the list. Click on the link above. It will take you to Gujarat SET 2018 hall ticket login page. Enter the registration number in the first field, and in second select date of birth from the drop-down calendar. Submit details. 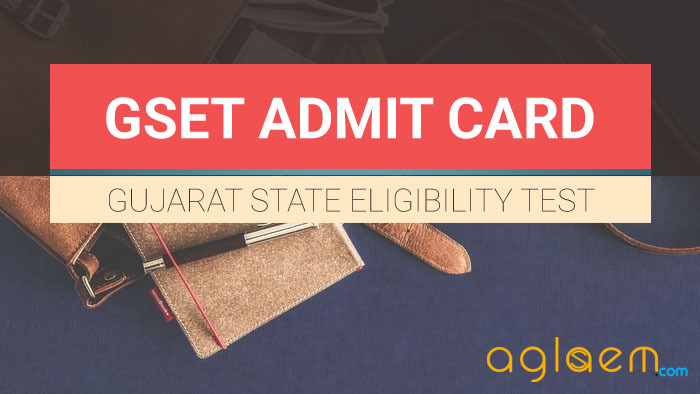 To download GSET Admit Card candidates need to provide Registration Number and Date of Birth. Once GSET Admit Card is available on the screen, candidates have to download and get a printout of GSET Admit Card. After downloading GSET Admit Card please confirm that your name, subject, Centre etc. shown in the Gujarat SET Admit Card is correct. 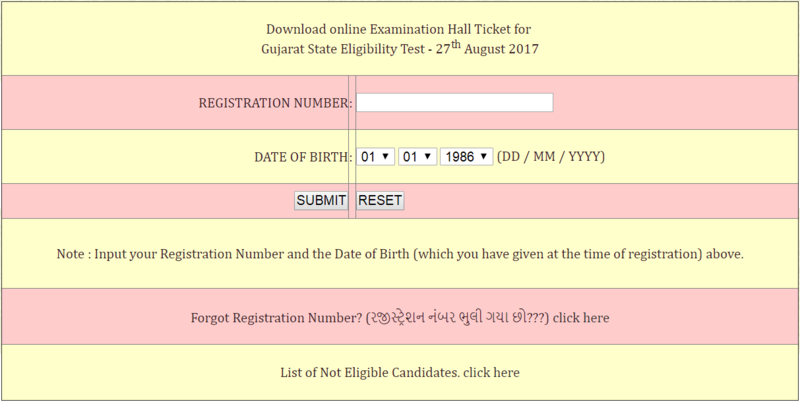 If there is any error in the Gujarat SET Hall Ticket please contact SET office immediately and submit written application to SET Office. Candidates should note that the Maharaja Sayajirao University of Baroda will not send GSET Admit Card by Post. On the day of the examination, the candidate must carry GSET Hall Ticket and also one additional photo identity. Expected Photo ID’s are driving license, voter ID, college/university identity card, PAN card etc. In case a Candidate qualifies for the Gujarat SET Examination, It is mandatory for him/her to bring Photo (Xerox) Copies of Application Form, Fee Challan and Examination Hall Ticket along with Eligibility and Category related documents at the time of verification. Hence it is advised to a candidate to preserve all the above-mentioned documents. Center invigilators will only allow you in the Gujarat State Eligibility Test Hall with the Examination Hall Ticket. There will be three papers in GSET exam, each consisting of MCQs. You will need to appear in all three papers. Take a look at detailed exam pattern/syllabus of GSET 2018 in order to know more. Paper I shall consist of 50 objective type compulsory questions each carrying 2 marks. The questions which will be of general nature, intended to assess the teaching/research aptitude of the candidate. It will primarily be designed to test reasoning ability, comprehension, divergent thinking and general awareness of the candidate. Paper II shall consist of 100 objective type compulsory questions each carrying 2 marks which will be based on the subject selected by the candidate.